In this paperback edition is a foreword by activist and author John Robbins and a reader's group study guide. This ground-breaking work, voted one of the top ten books of 2010 by "VegNews" Magazine, offers an absorbing look at why and how humans can so wholeheartedly devote ourselves to certain animals and then allow others to suffer needlessly, especially those slaughtered for our consumption. Social psychologist Melanie Joy explores the many ways we numb ourselves and disconnect from our natural empathy for farmed animals. She coins the term "carnism" to describe the belief system that has conditioned us to eat certain animals and not others. 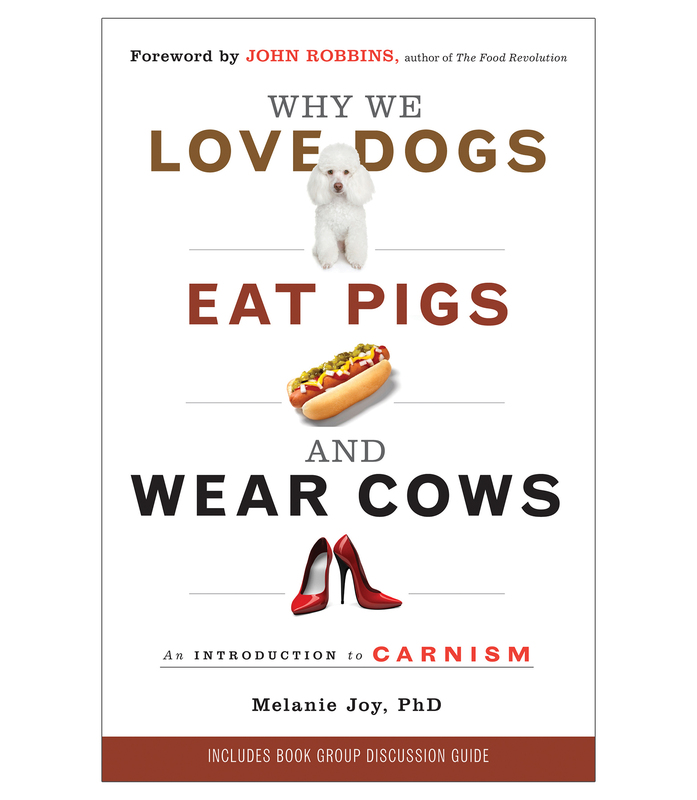 In "Why We Love Dogs, Eat Pigs, and Wear Cows" Joy investigates factory farming, exposing how cruelly the animals are treated, the hazards that meatpacking workers face, and the environmental impact of raising 10 billion animals for food each year. Controversial and challenging, this book will change the way you think about food forever.